The Life Span Developmental Psychology exam study guides contains ten (10) Sections covering the life span from prenatal through death & dying. 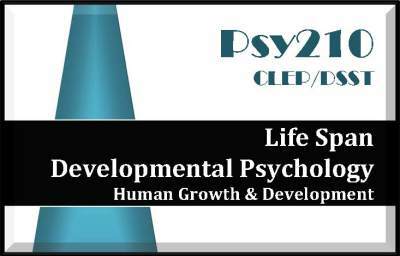 This study guide can be used for the uexcel or dsst life span developmental psychology exams or the clep Human Growth & Development exam. This study guide is a PDF document. The study guide portion of the document is 112 pages and loosely follows the content guide outline/syllabus and covers all areas noted. There are at least 300 practice questions included as well as reviews, summaries, charts/graphs/pictures and/or flashcards to help with your study! Bonus Audio Review is a companion item to your study guide and includes a review of key concepts and principles related to the covered areas in MP3 format. The Audio Review is not sold separately. formal or online class too!